Learning how angels communicate messages is a powerful spiritual tool. In this post, I list four powerful ways to connect with either your personal angels or the Archangels. Moreover, messages from Angels always offer a different perspective and guide people to perform actions that benefit their present and future circumstances. Divine guidance may come for issues regarding health and lifestyle changes such as improving a person’s diet, increasing their exercise level, or being more in tune with nature. Angels also help us with our relationships of all kinds. Whether it involves our partner, children, relatives or co-workers, angels are there to help. Help can also come in the form of spiritual guidance such as learning how to quiet the mind and meditate to obtain peace and serenity. More importantly, the nature of Angels is that they cannot intercede in our lives unless invited to do so but they will offer useful help. Sometimes we have cried out for help and then forgotten all about it. However, the angels never forget and will endeavor to help in any way they can. Furthermore, sharing your concerns with Angels creates a direct link to them. 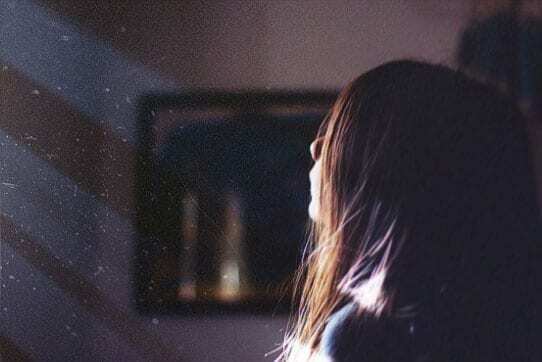 Such matters might include expressing your fears, disappointments, joys, sorrows, worries, and even grief. Keep up your efforts, and with time, you will experience the difference between your mind chatter and real guidance coming from your loving angel. Divine guidance from angels can also extend to matters of career and financial issues. Angels can assist you in overcoming money fears, reduce stress related to work, and instead, learn to follow your passions. Their help can also involve emotional clearing. When you have big worries about things like, “Will I get fired?”, “Will I get a raise?,” “Will I lose my home?” or, “Did I make a huge mistake with that financial investment?” with the help of the angels, you can overcome these worries and let them go. You will be reminded to forgive yourself for your past mistakes or even get help on something such as how to move through tendencies of procrastination for fear of an adverse outcome. There are different ways to increase the clarity of the communication that you have forged with Angels. Pay attention to your breath. Stress causes people to hold their breath due to fear or anxiety frequently. Make it a habit to be aware of your breath and to breathe more slowly and deeply. You may experience visions or dreams where you encounter Angels. You may also experience seeing images in your mind, sparkling lights, vivid colors, and bright white flashes of light. Your natural ability Clairvoyance enables you to see little pieces of information about your future which provides guidance. People who are psychically sensitive, often experience a keen awareness of light and colors appearing in their mind’s eye. Additionally, individuals who are clairvoyant can often visualize what they want. For example, someone might ask for help in creative endeavors, and as they are more visually oriented, they may see the answers in a dream or waking vision. Pay close attention to your dreams and especially sudden ideas. Significant dreams or thoughts that pop into your mind may well be the result of communicating with your Angels. Awareness of something may come through divine guidance via experiencing the psychic sense of claircognizance or “clear knowing.” These unique insights for receiving such divine revelations can be accomplished just by asking the Angels. The more you become aware, the more you will find that knowledge of helpful insights is coming to you every day. People often experience certain awarenesses without having to be taught but receive knowledge of things previously unknown to them. For example, these may come in the form of brilliant ideas for inventions, various processes, and creations. No thought creation is too small for the angels to offer assistance. You can ask for help for anything from sewing a new dress to building a new bridge! The psychic sense of clairaudience entails “hearing” words or music that come from somewhere else. Clairaudience is also called “clear hearing.” These words might come in the form of only a syllable at first, a whole word, or eventually entire sentences. Words from angels and any higher guidance will always be positive, uplifting, and encouraging. Additionally, you might notice high-pitched sounds inside your head or in one or both ears. This kind of even is a definite signal that higher guidance is happening right at that very moment. You may not know what is coming in right away, but be assured the message will surface in your consciousness very soon. 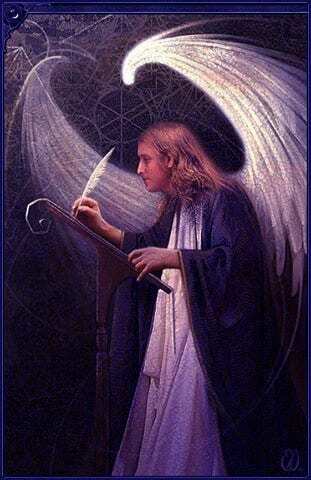 There is an excellent technique called Inspirational Writing where you can channel direct messages from your Angels by writing them down. All you need to do is to find some quiet time alone, have a notebook handy, and put yourself in a very relaxed state. Then ask the Angels to communicate a message. You might also follow this by asking a particular question. Wait for a bit and then start to notice any words coming through and start writing them down. Or, you can use a digital recorder and record the words occurring in as they fall into your inner thinking. At first, you may think it’s just you that providing the answers, but eventually you will learn to trust and understand the message(s) you are receiving. Don’t be shy about doing this. It’s an excellent activity to build a more reliable and trustworthy link with your angelic guidance. Finally, make it a daily habit to think of your angels at least once a day. Document anything in a notebook that you believe could be an important message. Record your dreams and creative thoughts. Write letters to your angels. Make a special Angel Box to hold your all written requests. These activities will soon forge an even stronger link with your angels and provide you with the divine assistance that you seek. You will begin to notice little miracles start to happen. Then get excited about bigger miracles yet to come! Hi! I’m Carol Nicholson and I hope you enjoyed this post! I’m dedicated to proving helpful and valuable information on a wide range of spiritual and psychic arts topics. A lot of this information, you won’t find anywhere else. Don’t forget to subscribe so you won’t miss out on my most recent posts and announcements of new courses! 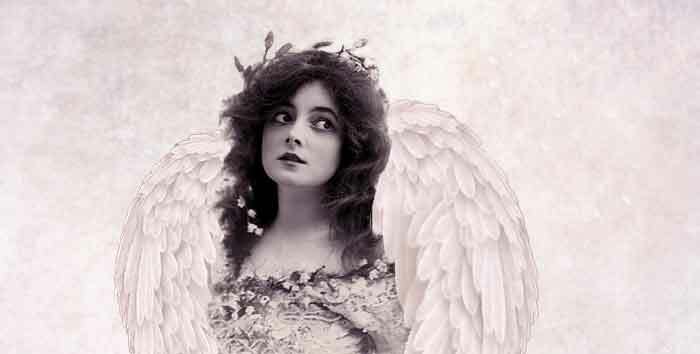 Want to Become an Expert on Angels and Do Angel Readings? Order Our Advanced Angels Practitioner Course! Do You Have a Spirit Attached? Start Mediumship Training Right Now! Fantastic Akashic Records Training Easy! Total Ghost Hunting Training for All! Have What It Takes to Be a Rescue Medium?